Sam is a great artist in the hobby. 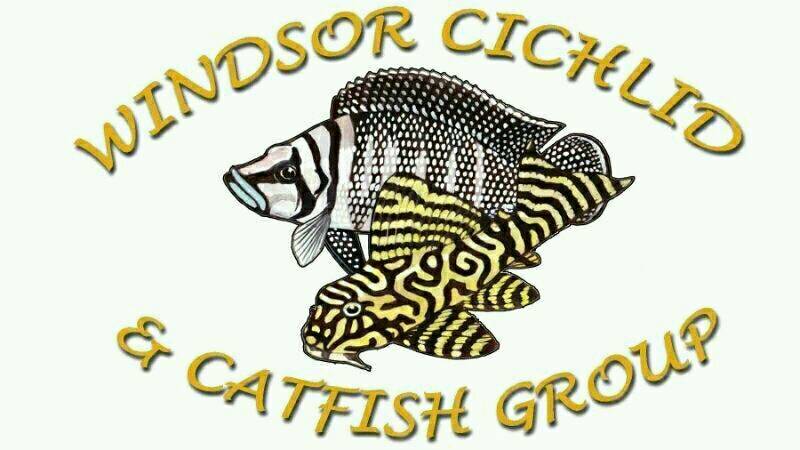 He designed the Windsor Cichlid & Catfish Group logo. I read it all the time. A quick video for those who weren't there and for those who were to remember it. I was just given two Paretroplus menarambo this past Saturday that are still juveniles. I'll have to get a huge tank for them eventually. You can have them if you want. Let me know. Jim's pair are absolute beauts! Should be another great event! TangJeff wrote: I made an account just so I could comment on how gorgeous those are. They must be rare at this point, in my region of Canada at least. Topic: Pseudotropheus saulosi Coral Red? Re: Pseudotropheus saulosi Coral Red? I'm still looking for info on this as well. A lot of US fish sellers have these in their lists but few know much about their origin. I plan to be there! Looking forward to learning about the Axolotls. Didgeridoo wrote: Well looks like I'm up to 16 fry total from three spits. Pretty stoked considering this was their first go. All three females are back in the colony and gaining weight back. Seperate the fish if you can and allow her to spit out the fry in her own time. Where is the link to the bulletin? Incidentally I recently commissioned Sam to work on a piece for the Windsor Cichlid & Catfish Group. He's very talented.